After a long day at work the last thing you want to worry about is your car not starting. Unfortunately sometimes things happen and you end up in a predicament where you need a jumpstart. However, now there is no need to worry. Here at Towing Solutions we offer a jumpstart service. Just follow the following three steps and know that we are there for you, and will be there as quickly as possible to get you back on your way. 2: Let us know what service you need. Once you call you can rest assure knowing that one of our trained friendly professionals will be there quickly to assist you. 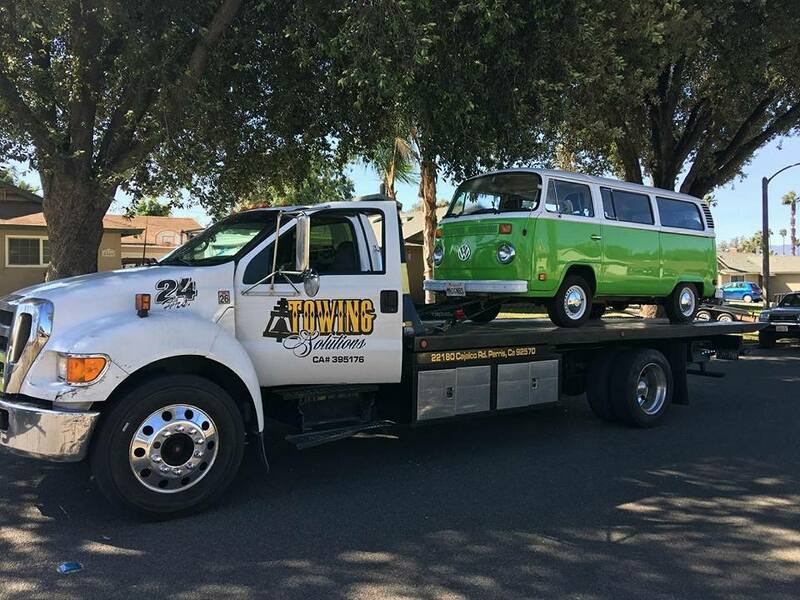 We offer our towing and roadside assistance services twenty four hours a day because, here at Towing Solutions, we know that mishaps do not just happen between 8 and 5. We want to be there for you when you need us. Auto lockout: Keys get locked in the car we will come get them out for you. Fuel delivery: Gas or Diesel Fuel! 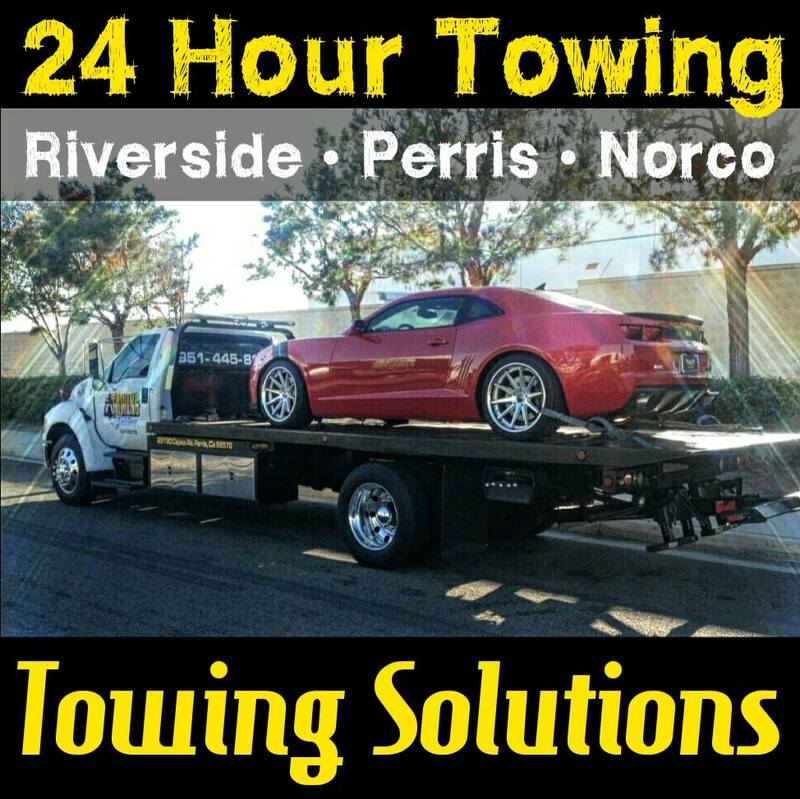 Not to mention our towing services. 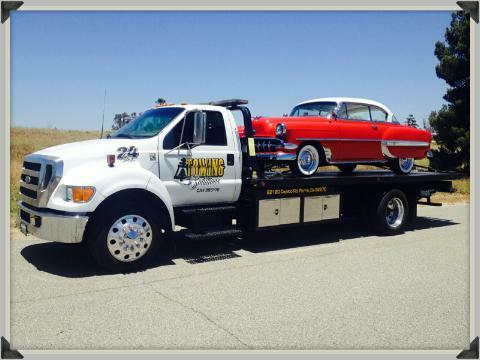 We have you covered whether you need a local tow, or a long distance tow, we are here to meet your needs. 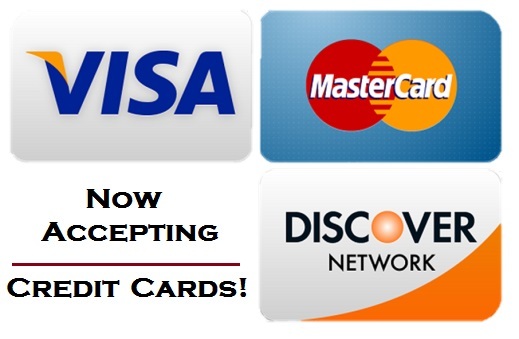 Just give us a call at (951)445-8868.